We thought we would loose all our blooms with four unexpected days of heavy rain. We already received MORE than our annual rainfall BEFORE the last storm – in which we received 110 mm of rain. Lots of rain. Normally, tomatoes don’t like huge amounts of rain. 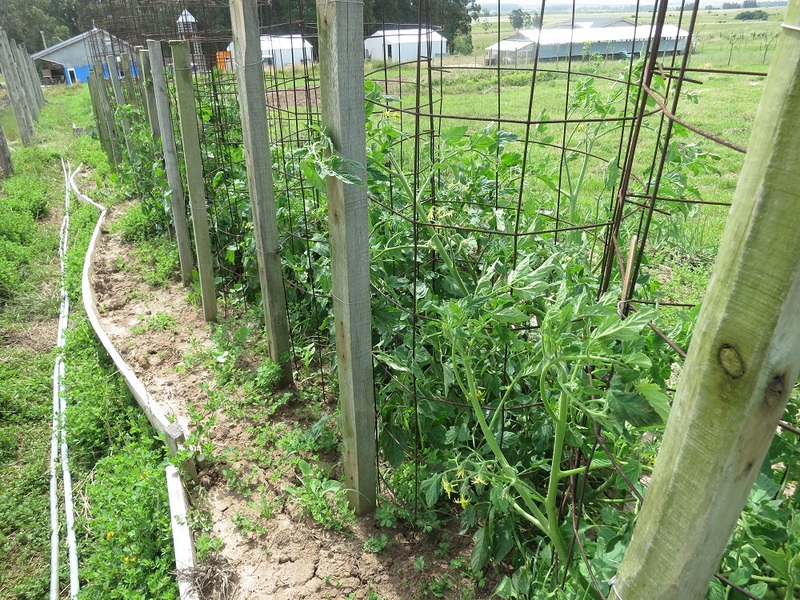 However, we were fortunate that tomato plants are somewhat hardy given enough sunshine, support, and well, a raised bed. 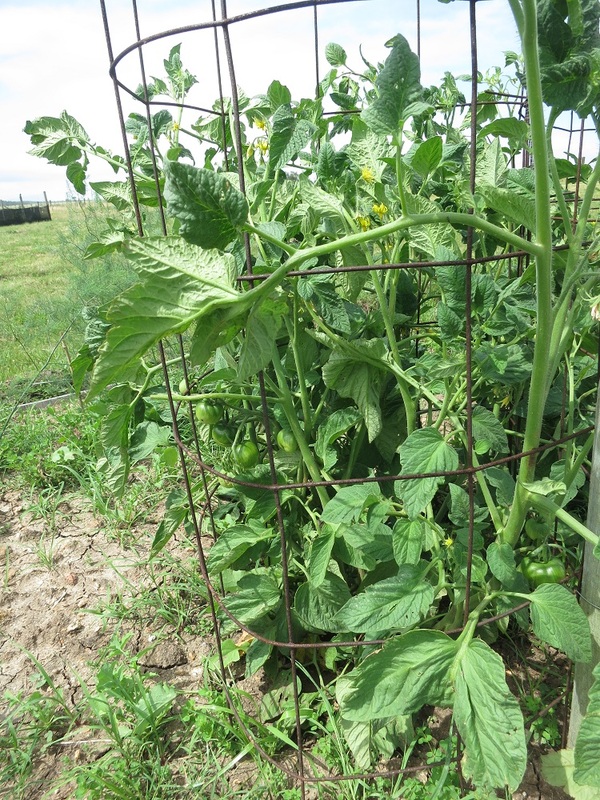 Our small little seedlings are growing into their cages as they start to have green fruit. For all the different types Megan planted see tomatoes. 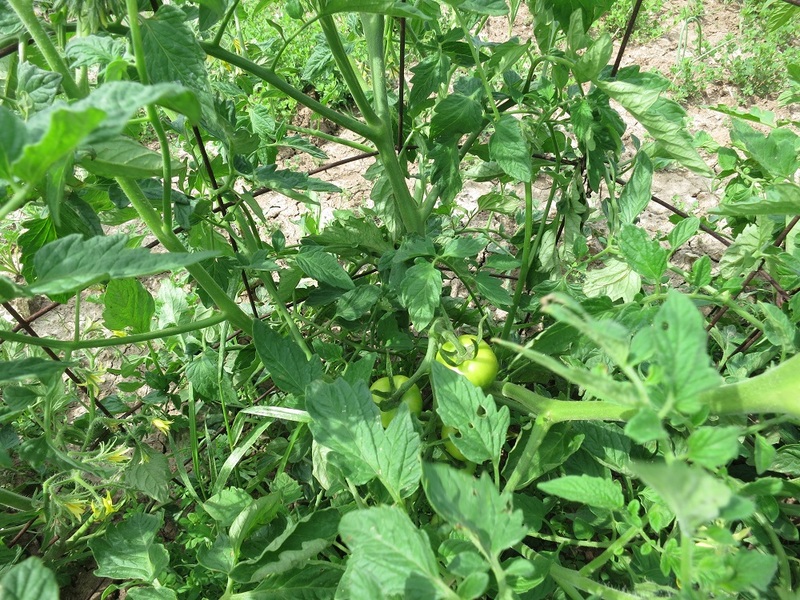 We should have a large variety of tomatoes that will harvest at different times, We also have some that will make excellent tomato sauce and tomato paste, one more thing to learn. If we can avoid more rain, keep them watered, and don’t end up with wildlife who decide they also like tomatoes. Watch out for green horned caterpillars! They can destroy tomato plants in a few hours. They blend in well because they are the same color as the plants, but a good sign you have them is if you see birds around the plants. The birds may be hunting the caterpillars. Thank you, we will keep a watch for the pests. The bugs of all kinds love the fresh leaves and the nocturnal animals love the almost ripe vegetables like melons and squash. It is a labor of love to keep the garden growing.